All the essential elements of a party happen at the bar. With the potential to be so much more than a place to dispense drinks, you can make your bar area into a focal point that everyone gravitates to, by furnishing it with some stunningly stylish seating. Let your guests chat and sip champagne in luxury while perching on some of these enviably elegant bar stools. what are the best bar stools? 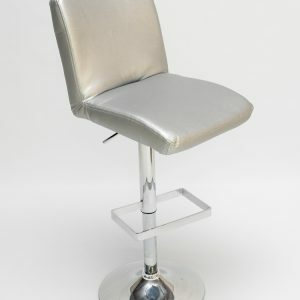 Not sure which type of bar stools to hire? 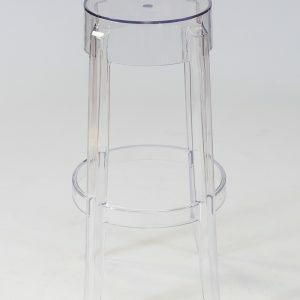 Give your bar or seating area a transparent look that’s bang on-trend with these crystal clear acrylic Ghost Bar Stools, a firm favourite. For a touch of luxury, opt for a stunningly comfortable seating arrangement with the padded silver Mandalay Stool. 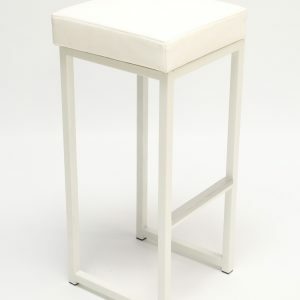 Or if you’re after a timeless and elegant style, go for a classic cube design with this white faux leather Kubo Bistro Stool, a perfect choice for weddings and summer parties. Your party seating has the power to make a big impression. There’s just something about a group of identical bar stools, co-ordinated in the right formation, which can help to create a powerfully put-together look for your event. Your bar stools and other party furniture will help make your photos look fabulous, as well as creating an inviting interior where your guests will immediately feel at home. Our bar stools look great with the other pieces in the Rio Lounge furniture range. Offer a place to perch with these chrome and glass Daiquiri Poseur Tables, or seat a big group at the Titan High Bar Table. 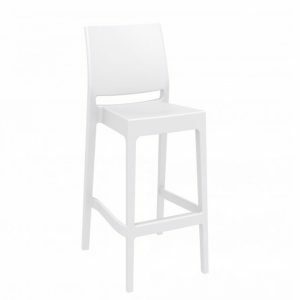 We also offer chair hire and ottoman hire for a more chilled-out feel; a white Club Ottoman would make the perfect pair with the Kubo Bistro Stool. Don’t forget to accessorise: this silver Champagne Bowl is a great way to make your guests feel like the VIPs they are. Organising a wedding? Our contemporary yet classic bar stools are the perfect place to toast the newlyweds as they embark on their new life together. At corporate events you can soften up your clients with some high level hospitality, or if it’s a family celebration, give it the glory it deserves with a touch of class. Whatever the event, by hiring our bar stools you’ll have all you need for a sensational and sociable evening of fun.